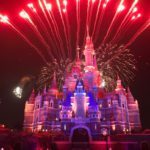 Last week, the Shanghai Disney Resort announced its plans to celebrate Chinese New Year. Now it’s Hong Kong Disneyland turns to share how it plans to ring in the new year. 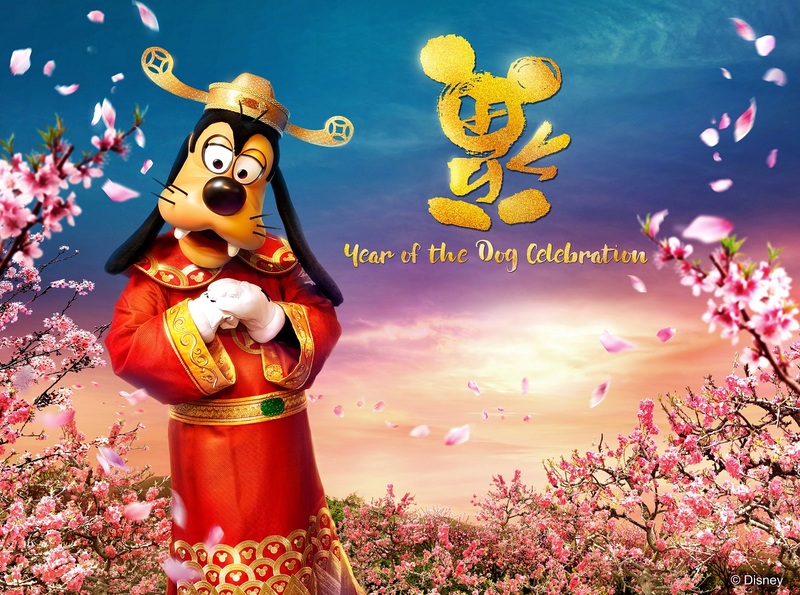 With 2018 being the Year of the Dog, who better than Goofy and Pluto to headline this year’s festivities? 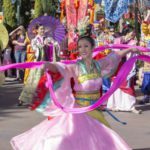 Additionally, themed Lunar New Year decor will be on display on Main Street and a unique Night Market will make its debut in the park. God of Fortune Goofy will greet guests at The Annex on Main Street, U.S.A. to share blessings with guests. Disney friends will appear in different festive outfits day and night to offer their best wishes, including Stella Lou, who will be celebrating her first Chinese New Year at HKDL. Be sure to take photos with all the Disney pals for the family photo album! 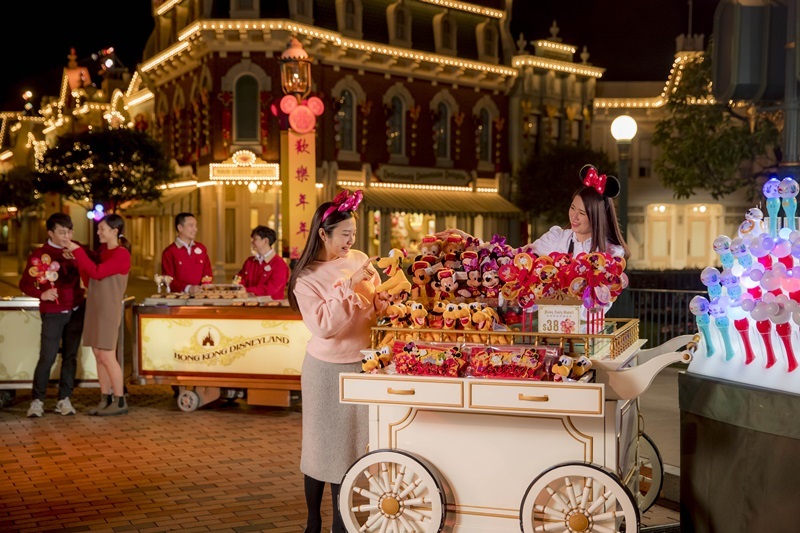 For a fulfilling start to the year, the park and three hotels will present nearly 70 festive delights, including Chinese New Year sets and snacks. Feast on the Chinese New Year Set Menu at Main Street Corner Cafe Hosted by Coca-Cola, or a more formal celebration with the New Year Special Set 2018 at Plaza Inn. There’s also festive snacks like Wishing Fish at the Market House Bakery and Outdoor Vending Carts. Or, order the “Lo Hei” at Studio Lounge at Disney’s Hollywood Hotel to usher in the year with extra good luck and prosperity. Lunch and dinner buffets at Chef Mickey also include a line-up of delicious choices. A range of more than 40 merchandise items for the season will be available at HKDL to share blessings with friends and loved ones. New “101 Dalmatians” plush toys and Pluto in a Chinese New Year outfit are the perfect keepsakes for the Year of the Dog, while Stella Lou plush toys in a traditional Chinese outfit will be available for the first time ever. 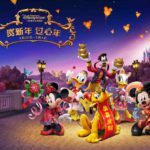 Start the year by visiting friends and relatives while wearing festive Disney apparel and bearing Disney goodies, lai see packets and traditional “fai chun”! Make any Disney vacation magical with limited-time offers for the new year by staying at Hong Kong Disneyland Hotel, Disney’s Hollywood Hotel or the newly opened Disney Explorers Lodge! Guests can book a room on designated dates during January and March 2018 at one of the hotels starting at HK$1,356, representing discounts of up to 40% off. Booking for this special promotion is available from now to January 31, 2018. Stays at resort hotels during the Chinese New Year celebration come with a set of complimentary collectibles, including Chinese New Year-inspired amenities, slippers and door decorations. Young hotel guests and their families will be kept busy with a full range of recreational activities across Hong Kong Disneyland’s three resort hotels, from arts and crafts to a new year market and Disney Lion Dance.